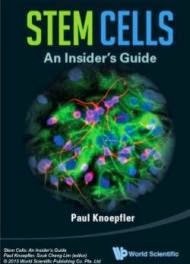 Stem cells have long offered the hope in the field of regenerative medicine to repair broken or damaged neural tissue. Now, findings from a research team at UC Davis have brought this dream a step closer by developing a method to generate functioning brain cells that produce myelin -- a fatty, insulating sheath essential to normal neural conduction. "Our findings represent an important conceptual advance in stem cell research.We have bioengineered the first generation of myelin-producing cells with superior regenerative capacity." said Wenbin Deng, principal investigator of the study and associate professor at the UC Davis Department of Biochemistry and Molecular Medicine. The brain is made up predominantly of two types of cells: neurons and glial cells. Neurons are regarded as responsible for thought and sensation while glial cells surround, support and communicate with neurons, helping neurons process and transmit information using electrical and chemical signals. One type of glial cells - called oligodendrocytes- produce a sheath called myelin that provides support and insulation to neurons. Myelin, which has been compared to insulation around electrical wires that helps to prevent short circuits, is essential for normal neural conduction and brain function; well-recognized conditions involving defective myelin development or myelin loss include multiple sclerosis and leukodystrophies. 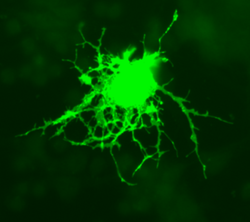 In the new study, the UC Davis team first developed a novel protocol to efficiently induce embryonic stem cells (ESCs) to differentiate into oligodendroglial progenitor cells (OPCs), early cells that normally develop into oligodendrocytes. Although this has been successfully done by other researchers, the UC Davis method results in a purer population of OPCs, according to Deng, with fewer other cell types arising from their technique. "We actually developed 'super cells' with an even greater capacity to spike than natural cells. This appears to give them an edge for maturing into oligodendrocytes and producing better myelin." Deng said.